Ants can cause your pressure switch to malfunction; maintaining insect control around the necessary areas will keep your equipment in good working order! The average well pays for itself in less than 3 years. Irrigating your lawn with a well can save you up to $1,000.00 a year, keeping your lawn healthy and chemical free. Please feel free to contact us via e-mail at: YWD2840@gmail.com for additional information. Proper maintenance could be the difference between a 1-2 hour service job or paying for a full day of repair. 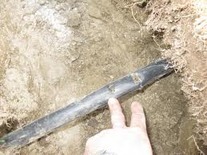 Have your well system checked yearly to avoid costly repair. Did you know your home owners insurance may cover lightning damage &/or well equipment? We carry a "Lightning Loss Affidavit " to submit claims to your insurance company for reimbursement. Old abandon wells can cause sink holes. 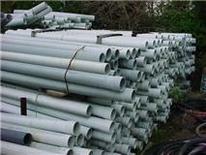 Did you know the state will reimburse you for all or most of the cost for plugging a well 4 inches or larger?